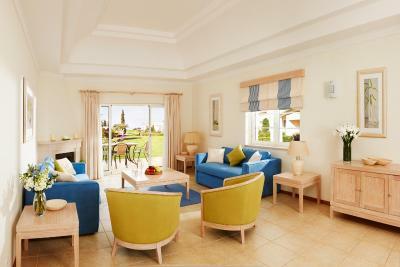 Lock in a great price for Vale D'oliveiras Quinta Resort And Spa - rated 9 by recent guests. The custard tarts at breakfast were delicious! 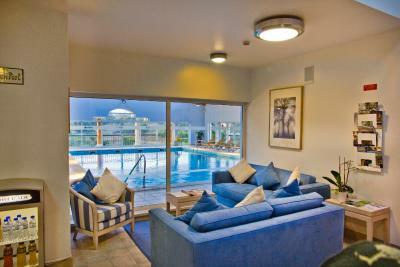 Swimming pool spotless and beautifully maintained, the apartment far exceeded our expectations. All in all an excellent hotel and would definitely recommend to family and friends. This property is fantastic, well located and very well run, it’s clean spacious and the team are very friendly, we loved it and will return again. Very nice resort in a beautiful scenery. Close to several fantastic beaches. 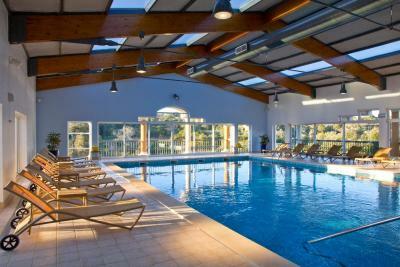 Very clean indoor pool, well equipped gym. The appartment was great: very large kitchen and bathroom. Lovely garden area. excellent breakfast, top rate customer service and very good facilities. 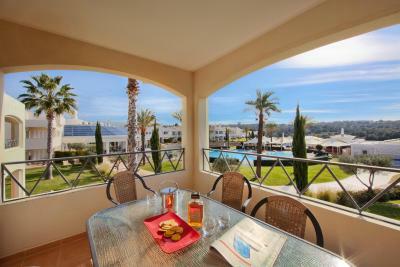 All was great; apartments were huge, well equipped, location is excellent - perfect. Highly recommended. Great value for money, very quiet, remote location, beautiful area. Very relaxing, good restaurant and great breakfast. 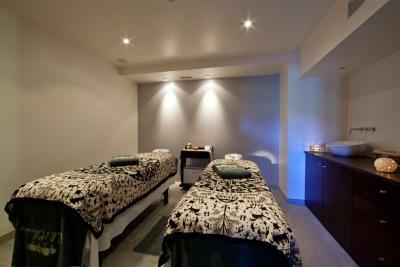 The fitness facilities included a gym, pool, jacuzzi and sauna. 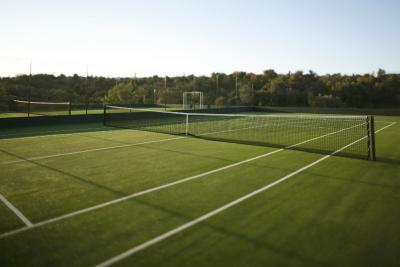 The staff were very helpful the grounds fantastic. One of our top picks in Carvoeiro.Peacefully located in Carvoeiro’s countryside and surrounded by lush gardens, this resort features an outdoor pool surrounded by palm trees and a fully equipped spa and gym. Free Wi-Fi is available. 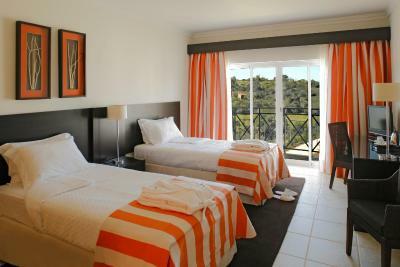 The bright and airy rooms and suites at the 5-star Vale D'oliveiras Quinta Resort And Spa feature a balcony or terrace overlooking the resort's grounds. 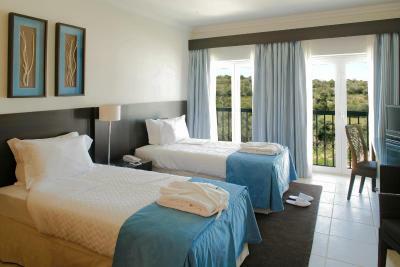 The suites are self catering and have a fully equipped kitchen with a washing machine. 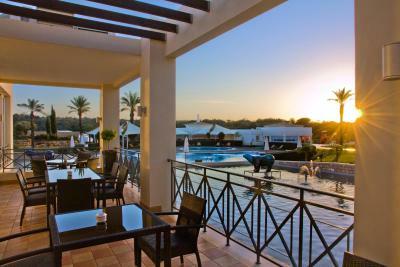 The Olive Tree Restaurant serves Portuguese and Mediterranean dishes on the terrace, which overlooks the swimming pool. 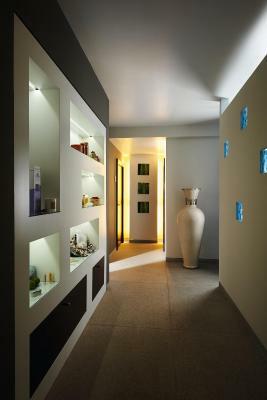 The hotel also offers the Jasmin Bar, which serves light meals and healthy options prepared with fresh ingredients. 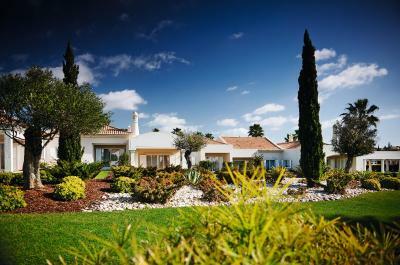 Gramacho and Vale da Pinta golf courses are within 1.2 miles. 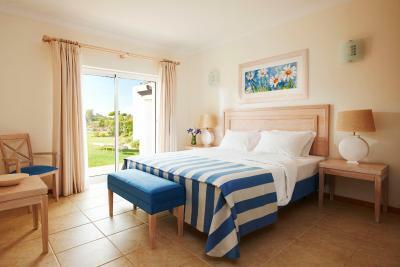 Vale D'oliveiras Quinta Resort And Spa has been welcoming Booking.com guests since 20 Jan 2010. 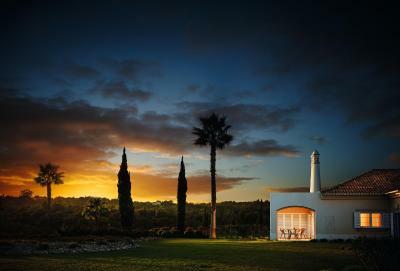 When would you like to stay at Vale D'oliveiras Quinta Resort And Spa? Maximum capacity is 3 adults or 2 adults and 2 children up to 12 years of age (the 3rd adult or the 2 children are accommodated on a sofa bed, at additional cost). 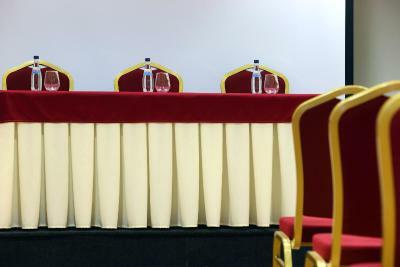 Maximum capacity is 5 adults or 4 adults and 2 children up to 12 years of age (the 5th adult or the 2 children are accommodated on a sofa bed, at additional cost). 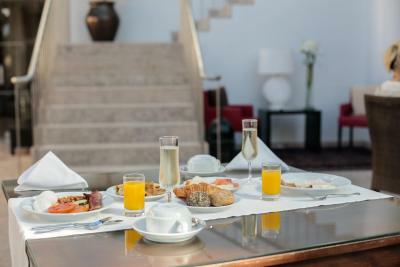 Set between Carvoeiro and Ferragudo, this elegant 5-star hotel is just a few minutes’ drive from some of the finest beaches and golf courses in Europe. It is an all year round destination, ideal for family holidays, golf breaks and corporate travel. 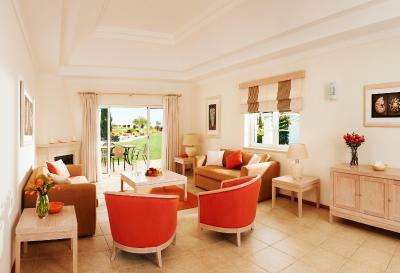 House rules Vale D'oliveiras Quinta Resort And Spa takes special requests - add in the next step! Vale D&#39;oliveiras Quinta Resort And Spa accepts these cards and reserves the right to temporarily hold an amount prior to arrival. Vale D'oliveiras Quinta Resort And Spa accepts these cards and reserves the right to temporarily hold an amount prior to arrival. 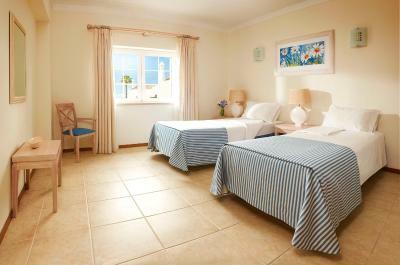 The property offers a shuttle service to Carvoeiro, Ferragudo and the nearest beaches at no additional cost . Please note that half-board and full-board do not include beverages. Please note that the Kids Club (seasonal) and the children's playground are free for children between 4 and 11 years' old. 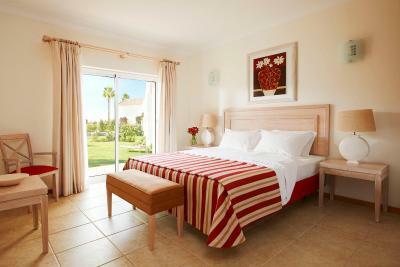 Please note that it is not allowed to add extra bed in a double room. 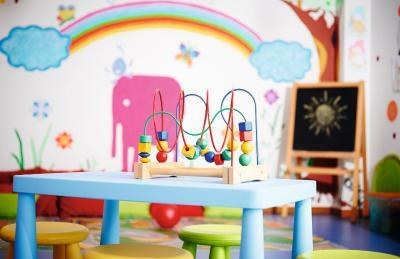 It is only allowed to add a baby cot (for children from 0 to 3 years of age) free of charge. The second shower in the 2 bedroom condo was weird. You could access the shower stall from both bathrooms so sharing with another couple made it a little odd. It would be good if you had small children. the location is quite removed from surrounding towns - a car is essential. Breakfast opportunity was less than it should be. Sound proofing is miserable. For a supposed five stars hotel it is incredible to hear noise from next door even when neighbours don't speak very loud. To go to breakfast, you have to go outside which is not pleasant in winter. Location: it is far from everything. It’s not a 5 star hotel as advertised. 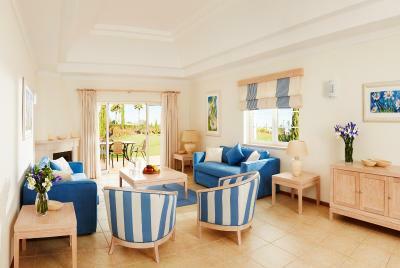 Lighting in the room was poor, rooms need a refurbishment. No heating in the bathroom no heated towel rail heating controls in the bedroom not user friendly in the spa the tiling around the pool was dangerous and very slippery. On the third day we entered the spa but we're not told that the water heater was broken cold showers! !